2018 started off with a bang. Literally. A couple of old fogies, we went to bed well before midnight. We did get to wake up at midnight to ring in the new year thanks to the fireworks all around town. So we kissed, said Happy New Year and went back to sleep! Ha-Ha! 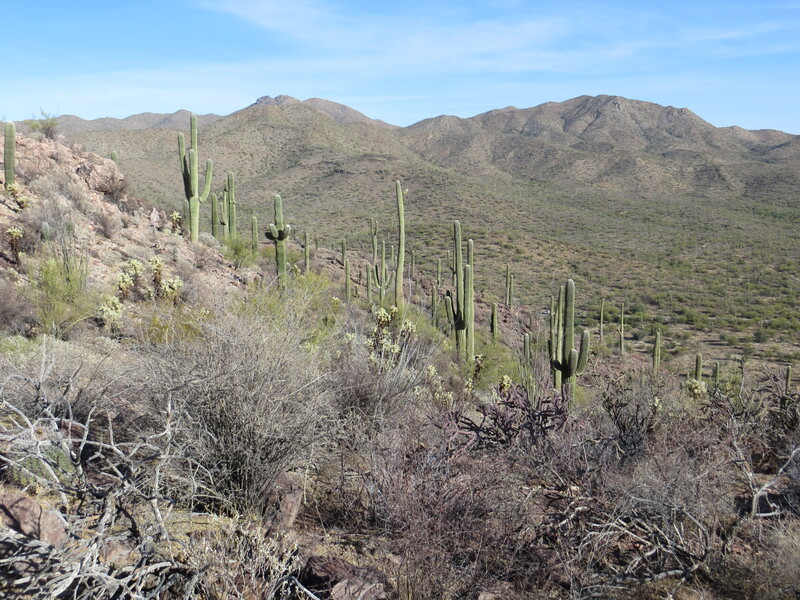 Apparently a lot of families here in Tucson have a tradition of going on a hike New Year’s Day. 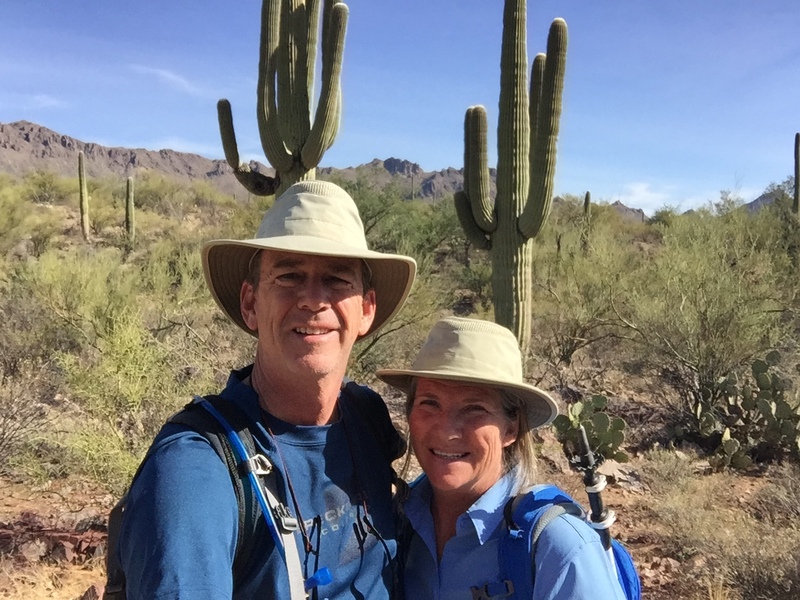 So much so that the Arizona State Parks are participating in a national “First Day Hikes” effort by state park systems across the country. 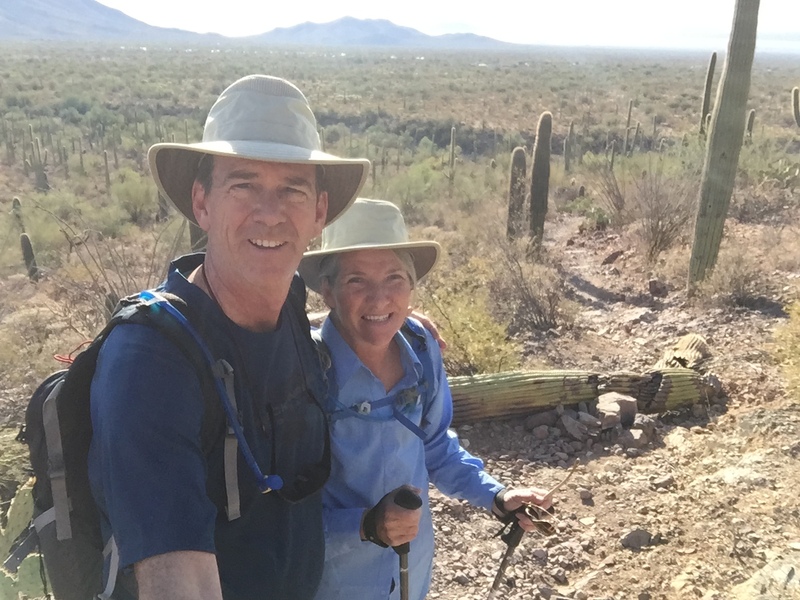 Though we did not hike in a state park, we did hike in Tucson Mountain County Park. 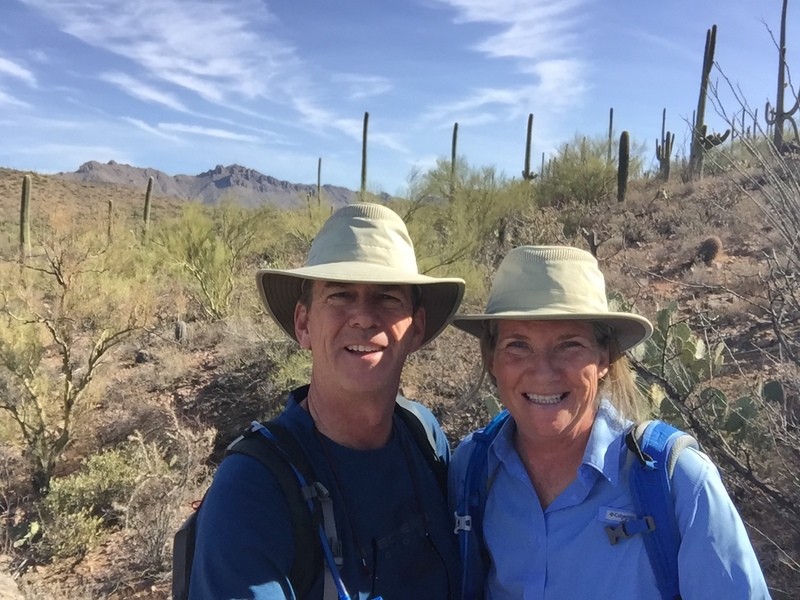 We are not quite in full hiking shape yet, so we looked for a relatively flat hike. Preferably one we have not done before. 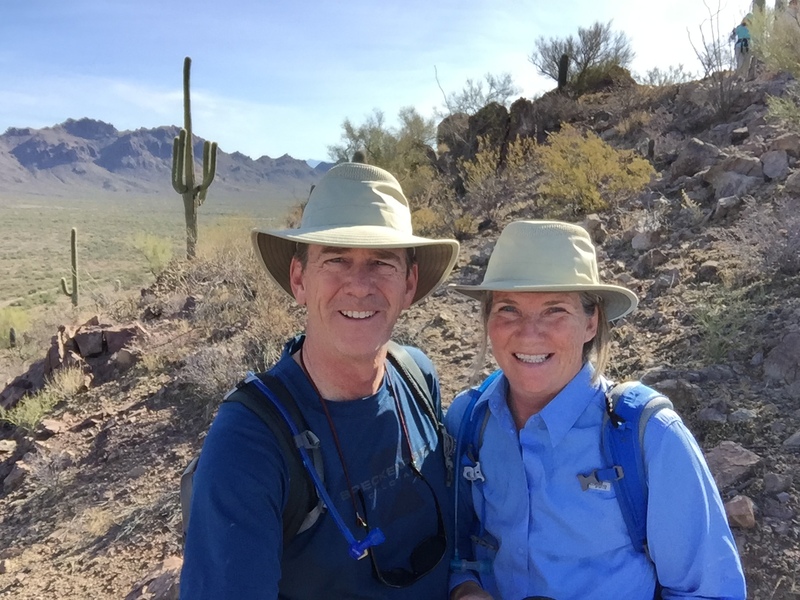 With temperatures forecast to be in the mid-70s we figured we could even hike in the lower elevations and take advantage of the cooler days of winter. We decided on Brown Mountain Loop Trail. It is a 4-mile loop with the outbound section as a hike up Brown Mountain, then following up and down along the ridge line to the Juan Santa Cruz Picnic area. The return section is down in the flat. We were really surprised with how steep the initial ascent was. It was not very long, but steeper than we planned. Needless to say, we stopped and took a short snack break at the top. The views were tremendous. 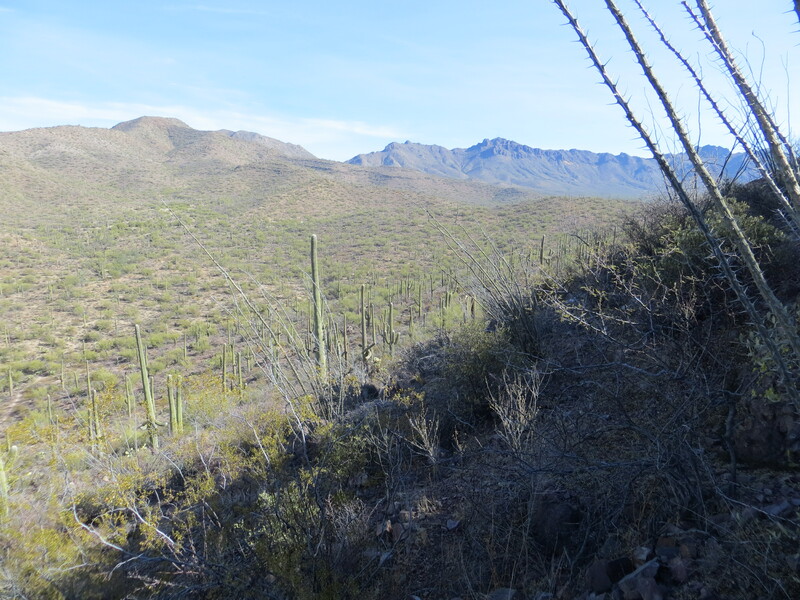 There are so many saguaros on this side of Tucson and the rocks were multiple shades of reds, grays and browns. You could see all the way back towards the city and up towards Gates Pass. 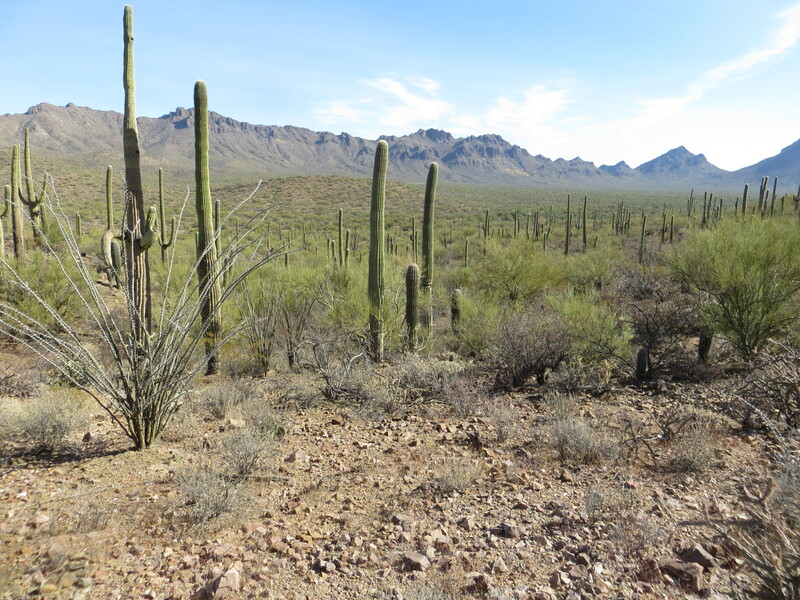 We stopped a couple of times to drink in the views and admire the beauty that is the Sonoran Desert. We made a lunch stop along the way. Even though we were close to the picnic area, we decided that it was in full sun, and we found a better place in the shade along the trail. Good decision; not only was the picnic area in full sun, it was crowded and full. 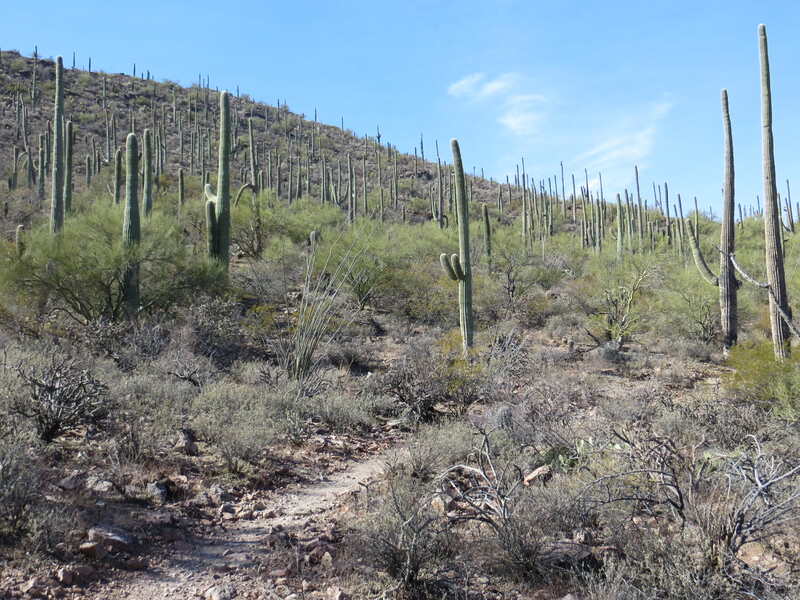 Our return hike back went much quicker and we were glad this section was flat. It is amazing though, with just a 700 foot elevation difference, how much the ecosystem changes. 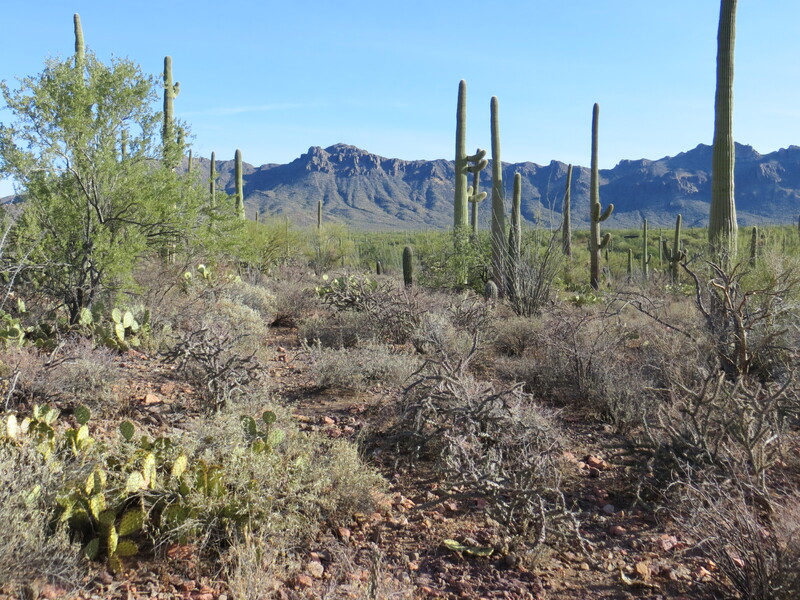 There were many more varieties of plant life and tons more saguaros. Later in the evening, was the first of two Super Moons in January. It was magnificent! Moon rise was about 5:30 local time here. Just about the same time as sunset. So not only was the moon the largest it will be in 2018, it was also a bright yellow as the sun was setting. A fun way to close out a full and fun New Year’s Day 2018.